As a school community we all agree that there is a need to pay better attention to our environment and to protect and preserve our environmental resources. Reducing “carbon footprints,” using green power, saving energy and recycling, are all issues that many communities face in their daily lives. Committing personally and as a whole community to greater environmental consciousness is one of the most important things that we can do parents, as educators and as a school. Why Should We Become an Eco School? The evidence is all around us. With the carbon footprint of so many schools in Europe and the United States already tipping 9m tons CO2 a year, many campaigns to become Eco Schools are already underway all over the world. As educators, it is our responsibility to influence our students during a vital formative period of their lives, in order to create a culture of respect, responsibility and understanding of the importance of conservation in an unstable world, which is rapidly using up resources. Creating a whole school Eco- policy is not only beneficial for enhancing overall sense of community and environmental awareness, but also for generating harmonization of students, administrators, educators, caretaking staff and the surrounding community. Reduce the amount of waste the school produces. Protect the environment from pollution. Teach our students about resource value, waste minimization and recycling. 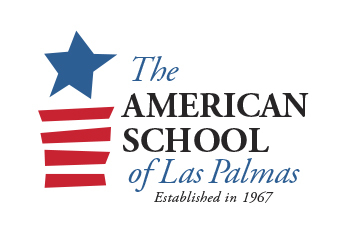 This year The American School of Las Palmas continues with our ZERO WASTE campaign. For this, we ask parents who send snacks to school for their children, to not send any packaged food. Fruit, sandwiches, yoghurts etc should be sent in a tupperware or container that will return home at the end of the day and drinks should be sent in refillable water bottles. When choosing a suitable water bottle or container for your children’s snack, we recommend BPA free ones, or containers made from non-toxic plastics. We are helping our students to acquire good environmental habits from an early age in order for them to develop a deep sense of responsibility and care for their surroundings. As educators, it is our duty to help our children make responsible choices. THANK YOU FOR HELPING US TO BECOME AN ECO-FRIENDLY SCHOOL!